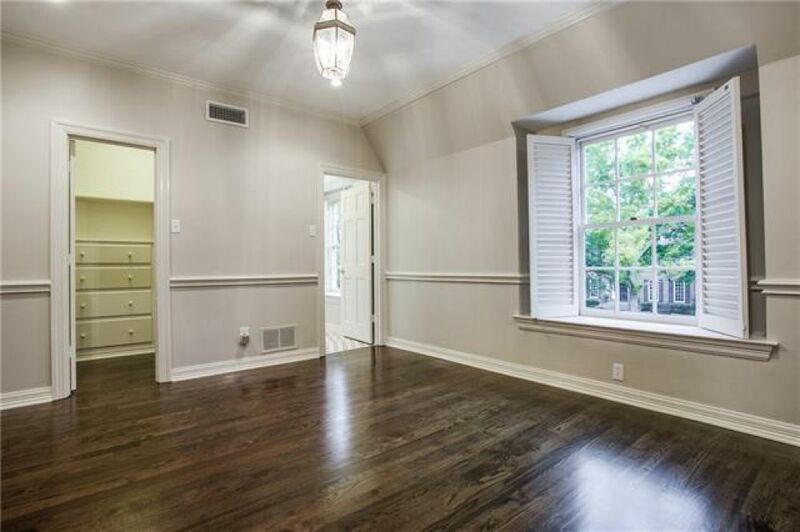 Located on a great street in University Park, 3920 Hanover offers 4210 square feet, 5 bedrooms, 4 and ½ baths on a spacious 60x145 lot with circle drive and mature trees. 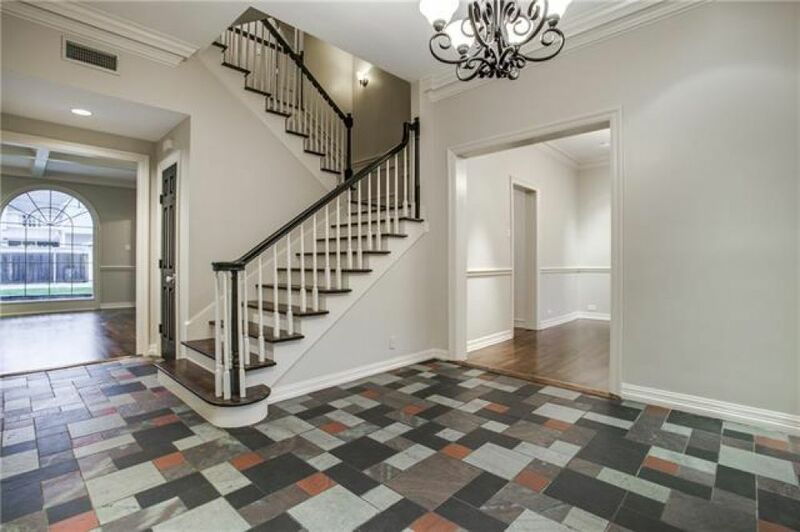 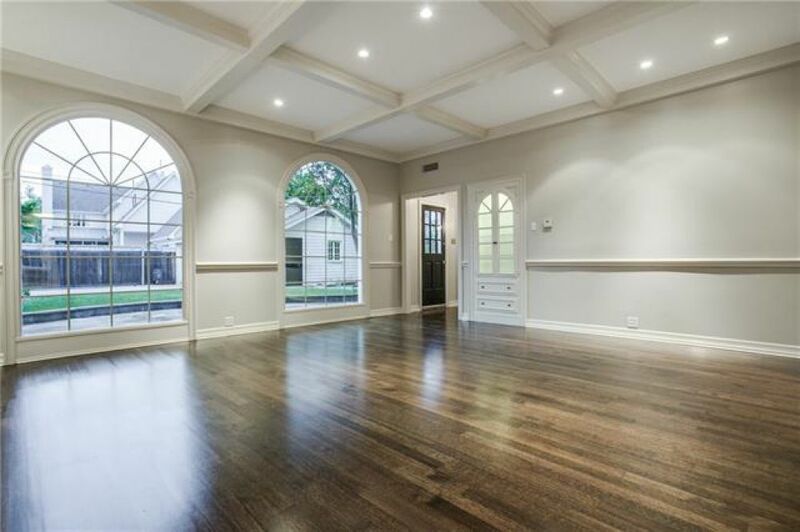 10’ ceilings, beautiful millwork, plantation shutters, recessed lighting, recently repainted neutral interiors and refinished hardwoods add an element of elegance. 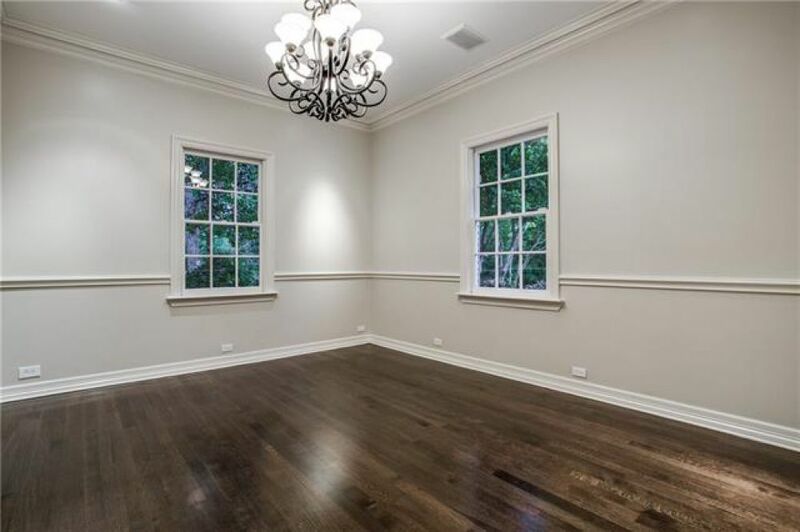 Dining room features hardwoods, chair rail molding, built-in speakers, and chandelier. 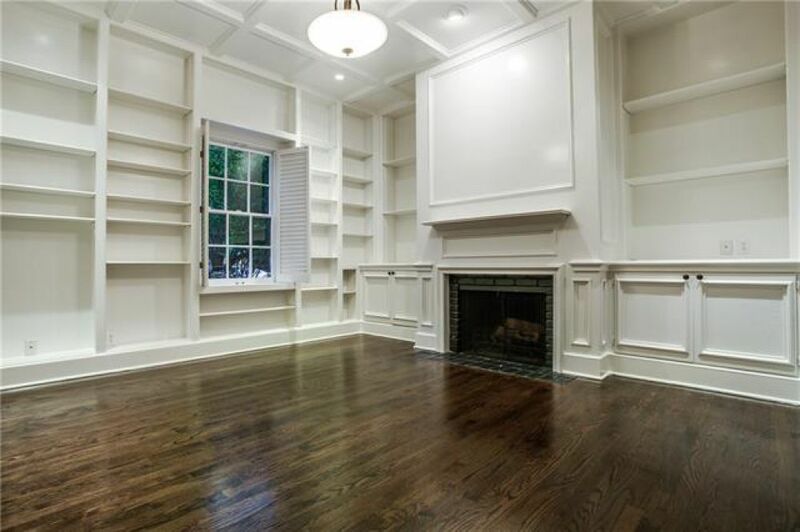 Handsome study with coffered ceiling, built-in book shelving, plantation shutters, gas fireplace with brick surround flanked by built-in cabinetry. 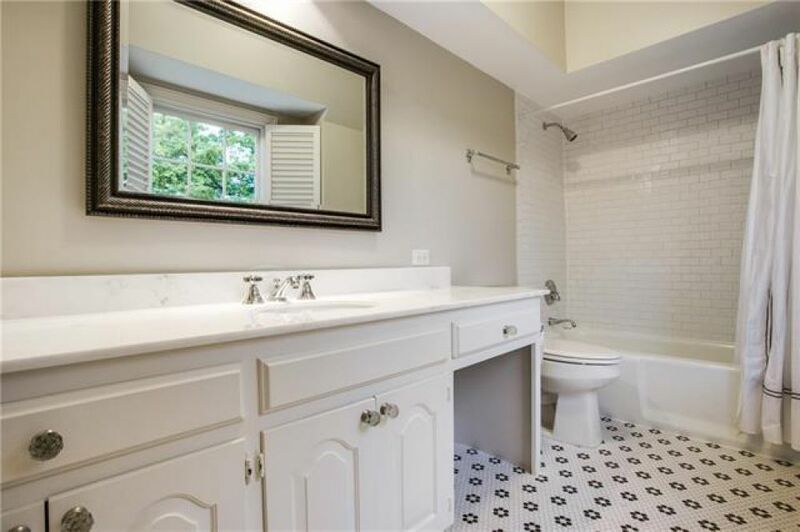 Powder bath off study with granite counter vanity and Saltillo tile flooring. 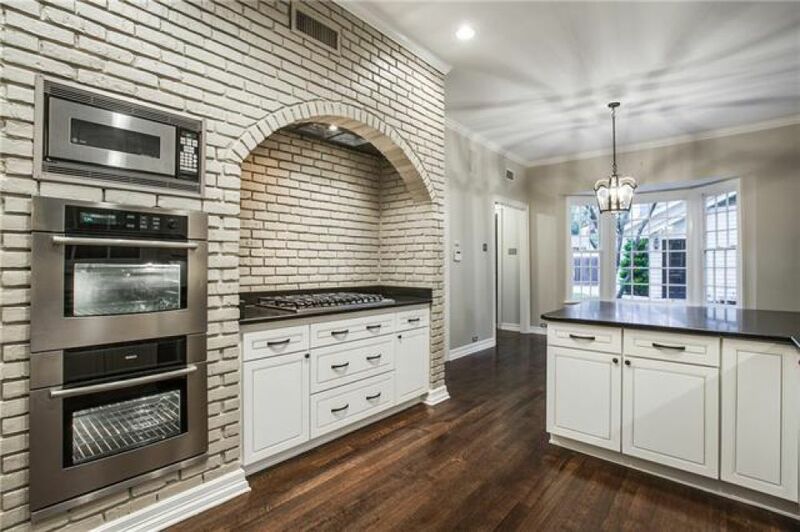 Kitchen with newly painted cabinetry offers ample storage, honed granite countertops, large window over single basin sink, Bosch double ovens, Bosch dishwasher, 6 burner gas cooktop with brick surround and vent, built-in refrigerator, built-in microwave. 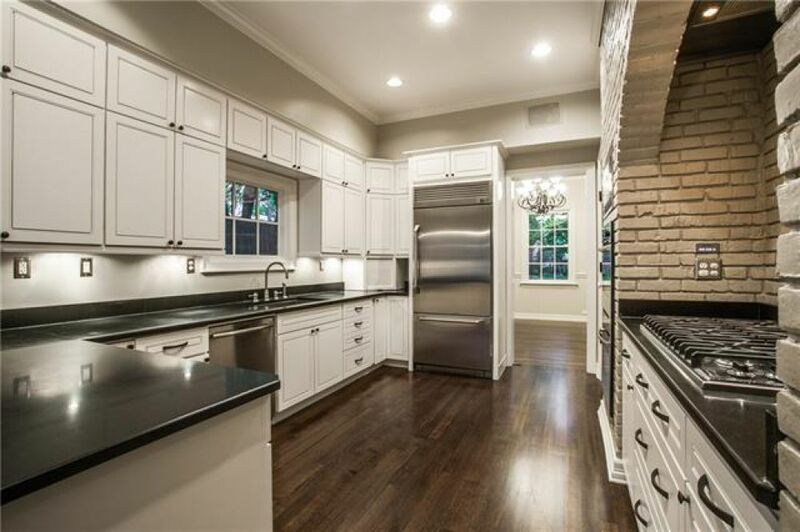 Soft close drawers, under counter lighting. 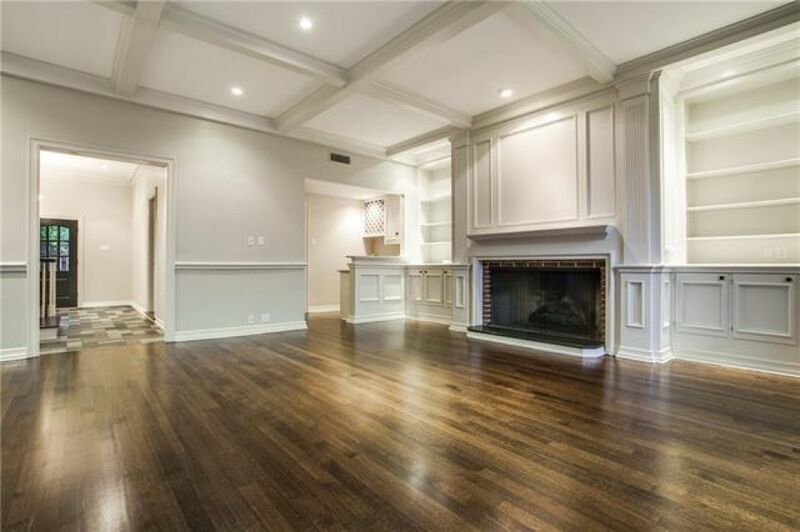 Appliance garage and 2 corner lazy susan corner shelving. 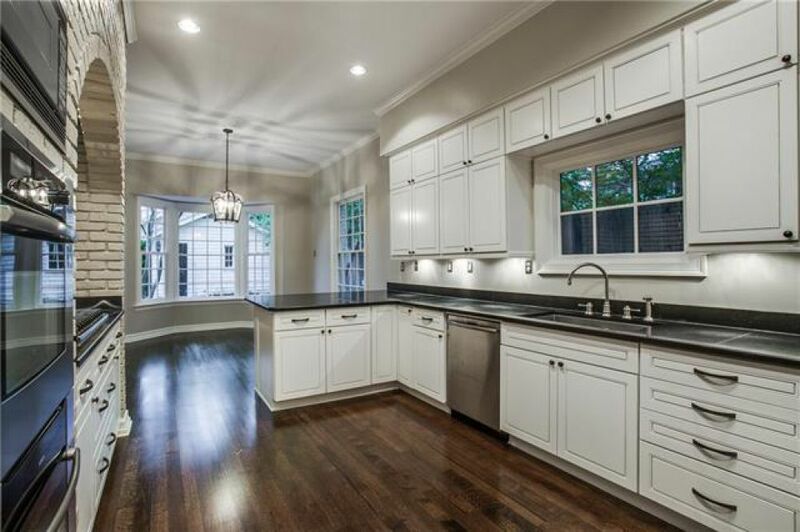 Kitchen with bar seating opens to breakfast area with bay windows overlooking backyard. 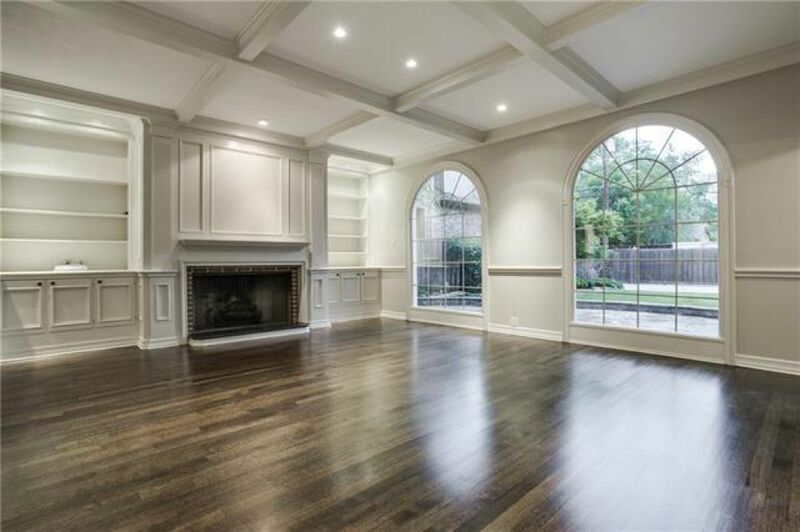 Spacious family room with large arched windows provide ample natural light, coffered ceiling, large gas log or wood burning fireplace flanked by built-in cabinetry and shelving. 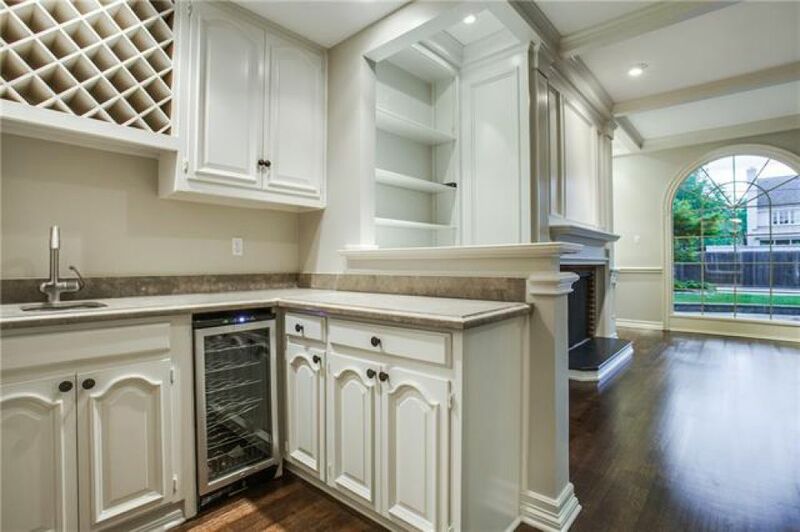 Nice wet bar with wine fridge and wine rack storage, sink. 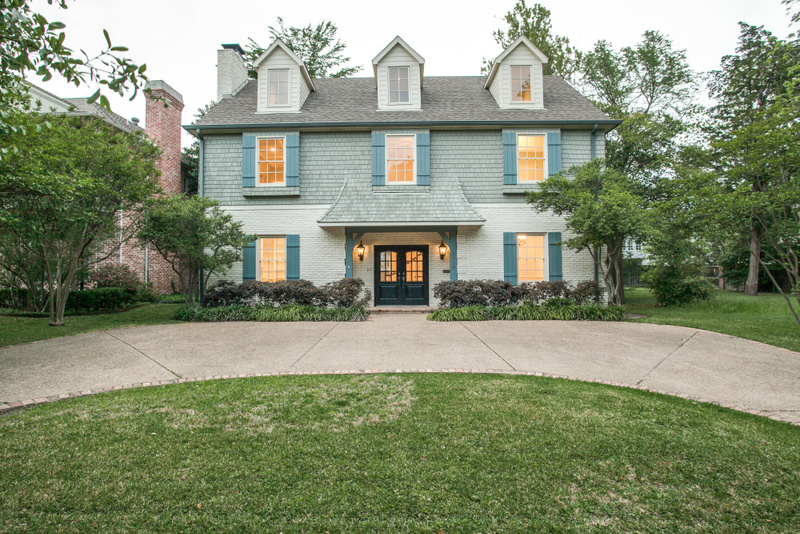 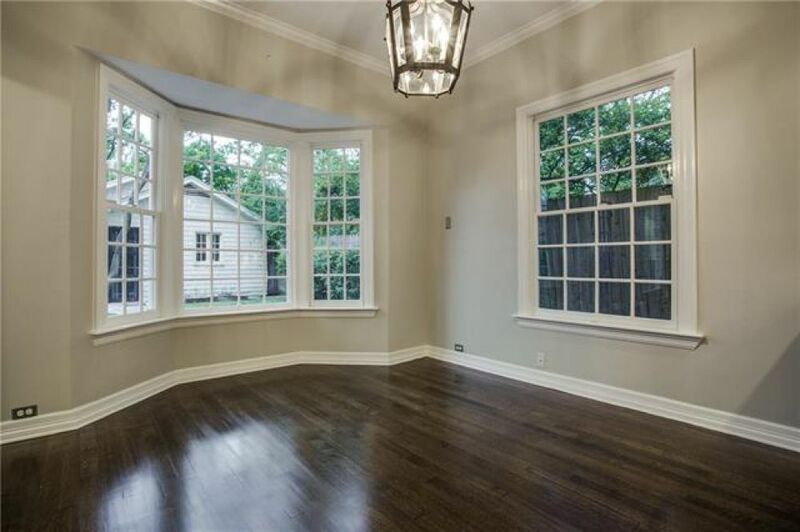 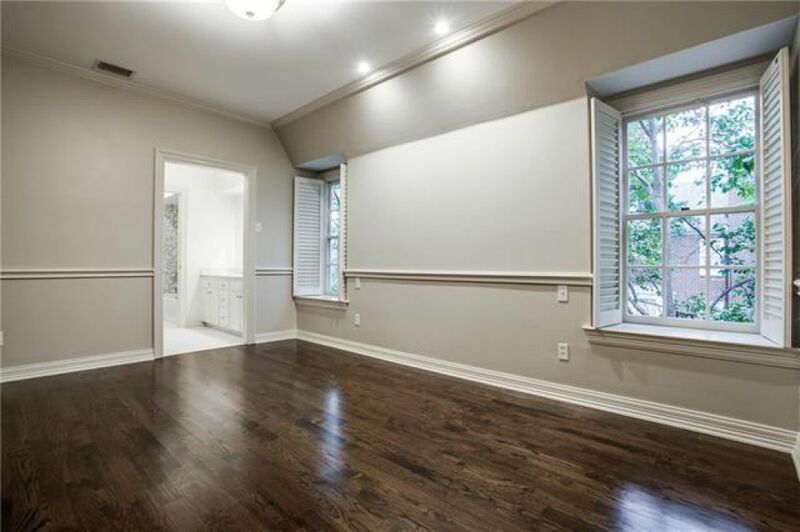 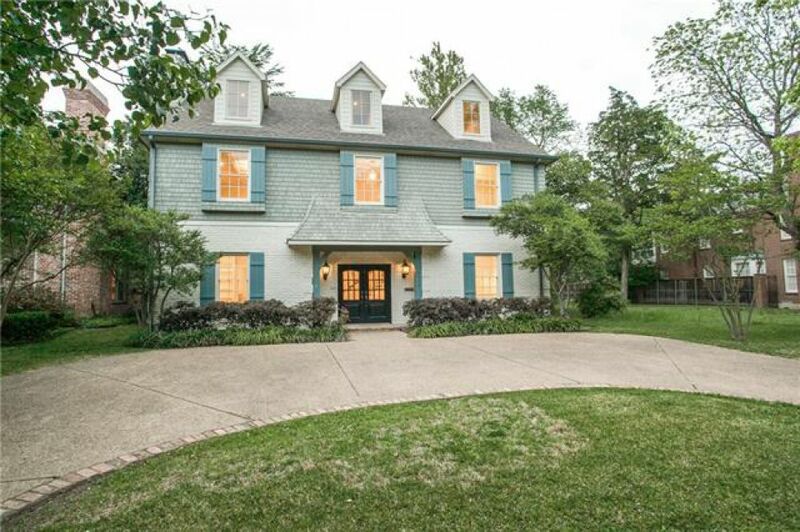 Second floor master with coffered ceiling, plantation shutters, corner location provides ample natural light. 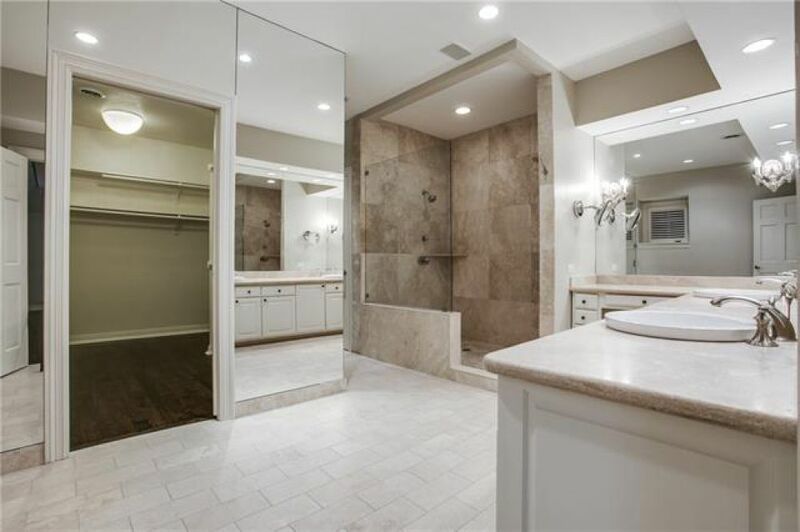 Spacious master bath with great lighting has dual sinks, walk-in shower with dual shower heads, large closet with built-in drawers and shoe shelving, plus attached safe. 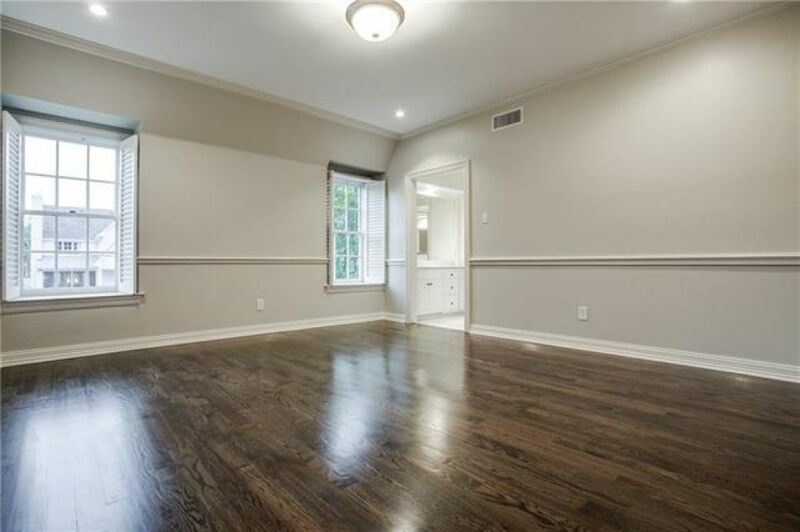 Secondary bedrooms have new hardwood flooring, plantation windows with window seats, neutral paint colors, crown molding, walk-in closets with built-ins. 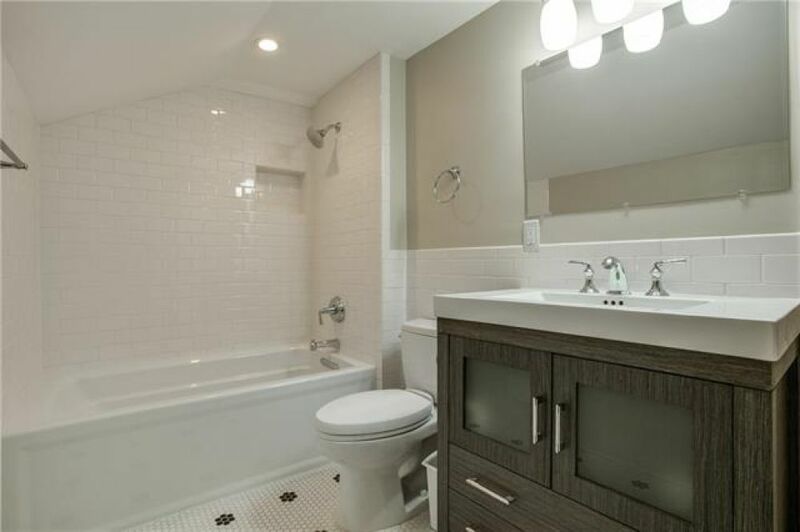 One with en suite bath – honeycombs flooring, subway tile tub/shower and marble counter vanity. 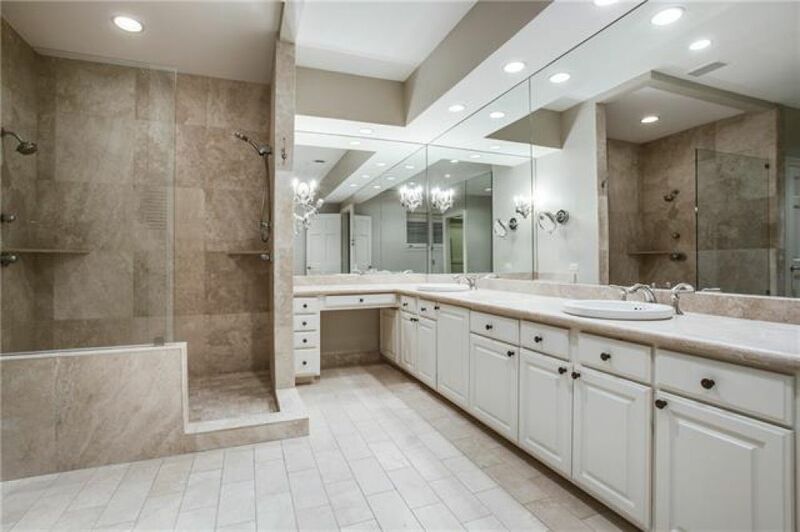 Jack and Jill baths have marble counter vanities, honeycomb tile flooring, and tub/shower with mosaic tile. 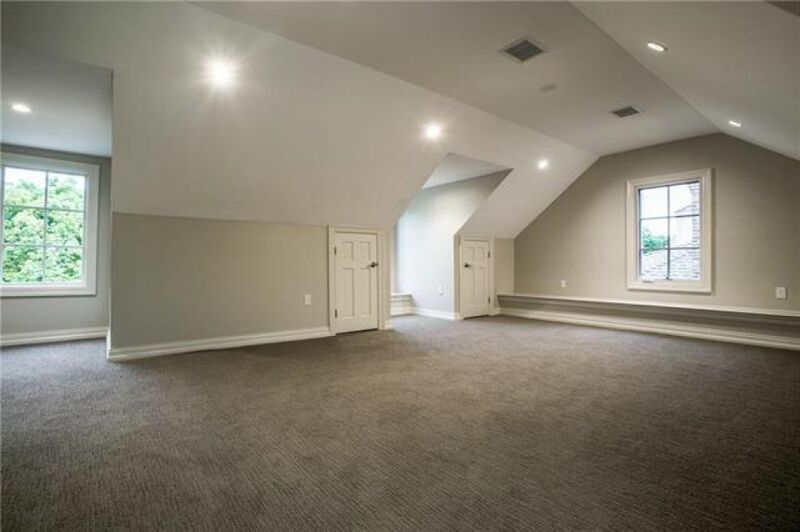 3rd floor offers great carpeted playroom, full bath with tub/shower, and 5th bedroom with 2 closets and built-in drawers. 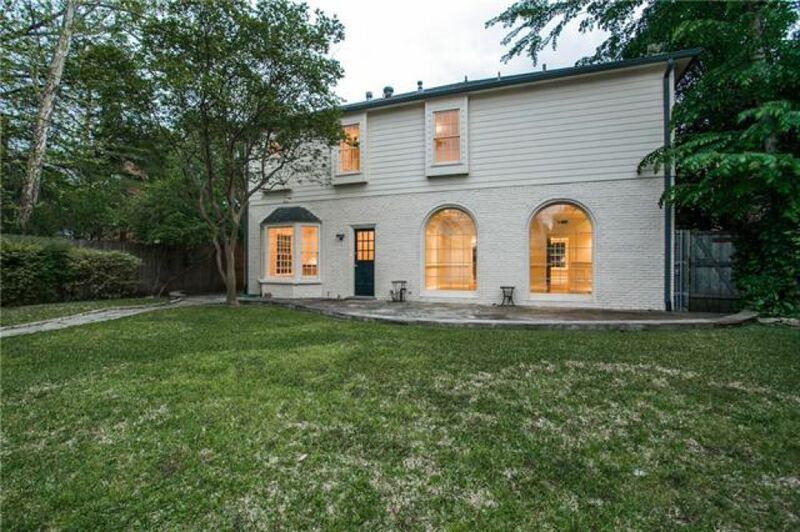 Backyard has stone patio with French drains going to front. 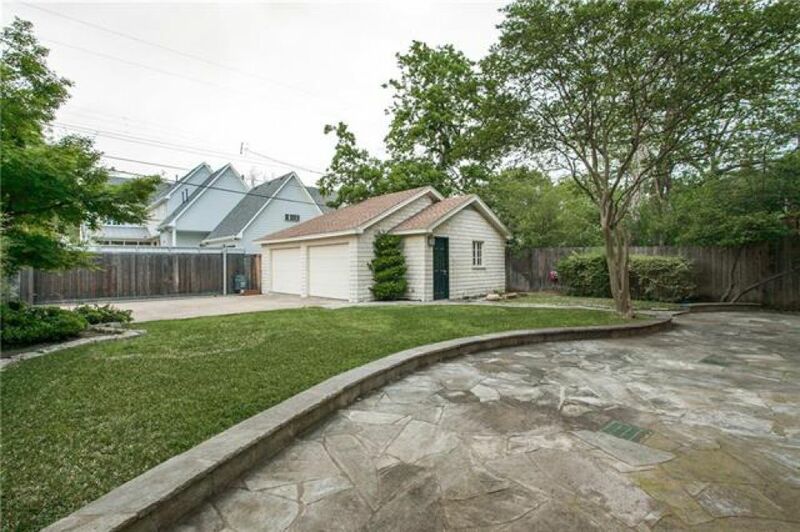 Great yard space for play yard. 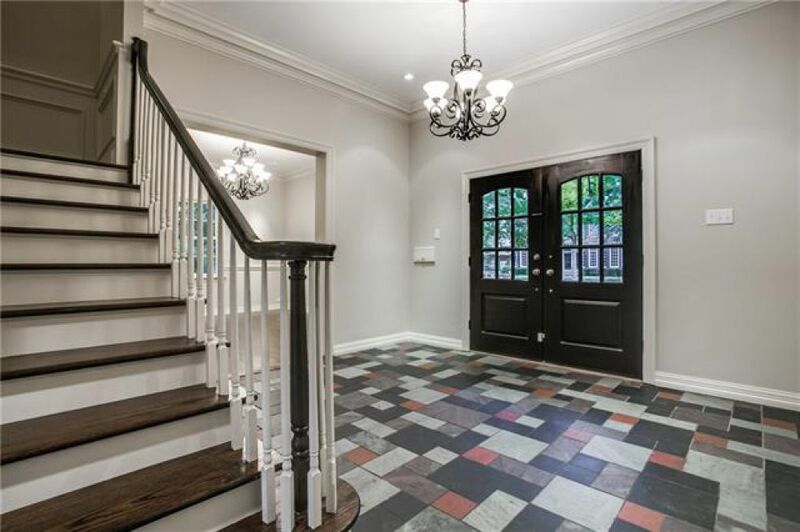 Electric gate to 2 car garage with built-in storage shelving and separate storage area. 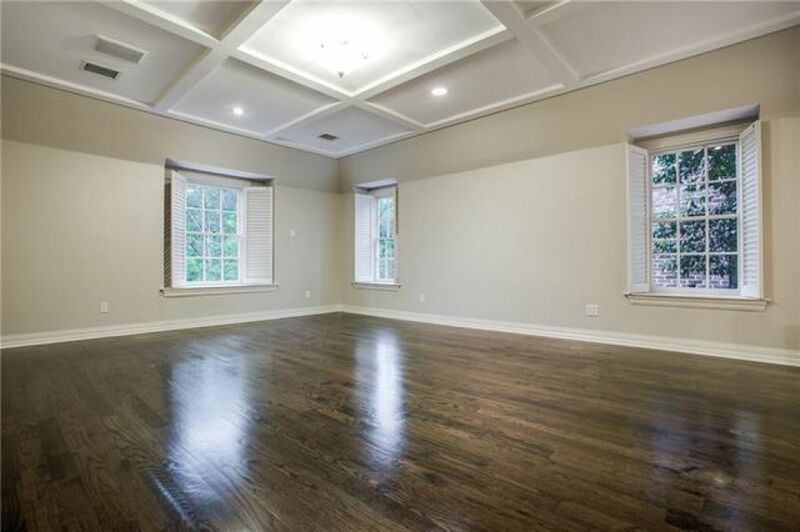 Great location – convenient to shops and restaurants in Preston Center and Snider Plaza, Curtis and Goar Parks.